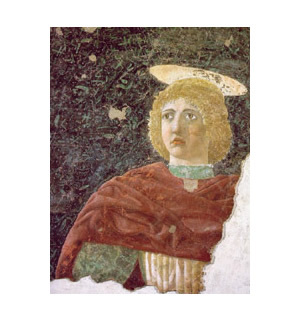 Visitors are invited to discover Piero della Francesca's works in the province of Arezzo, by following an itinerary going through Valtiberina, Sansepolcro, Monterchi - the native hamlet of Piero's mother Monna Romana - and Arezzo. The Upper Valley of the Tevere river, or Valtiberina, is on the far east of Tuscany, and takes its name after the river that runs across it up to the border with Umbria. In the past, Valtiberina represented both the border and meeting point between different civilizations, the Umbri and the Etruscans, the Bizantines and the Longobardi. Piero della Francesca, in Borgo San Sepocro itself, was able to perceive the secrets of space and light, reflecting them into his works. 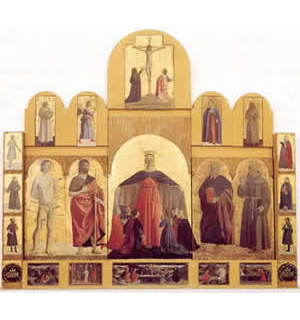 The Civic Museum of Sansepolcro, the artist's native town, holds four works, the Polyptych of Mercy, the Resurrection, San Giuliano and San Ludovico. After visiting Sansepolcro, the itinerary continues in Monterchi, in Val Cerfone. 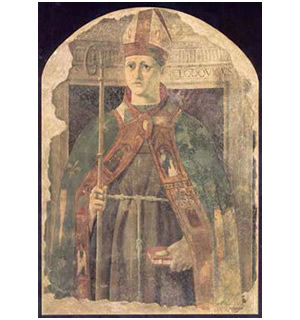 In Monterchi, which stands on the top of a hill on the border with Umbria, Piero della Francesca painted the extraordinary fresco of Madonna del Parto, in the old church of Santa Maria a Momentana. The itinerary continues and ends in Arezzo. A splendid town standing on a hill in eastern Tuscany, just behind the Apennines between Tuscany and Romagna, Arezzo used to be one of the most important Etruscan cities and later became a strategic centre for the Romans. Here, Piero della Francesca painted one of the most important masterpieces of the Renaissance. 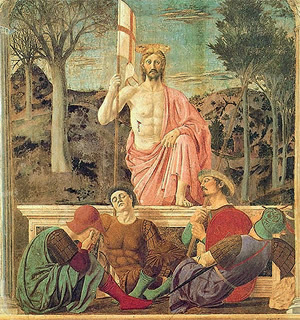 The Bacci Chapel in the Basilica of San Francesco contains Piero della Francesca's frescoed cycle of the Legend of the True Cross, painted for the Franciscan church between 1452 and 1466. The Dome of Arezzo displays the fresco Magdalene (at the bottom of the left nave). (Opportunity to buy special tickets, discount included, in our hotel).